* Product was provided for review. Anyone else slathering on lip balm like it's going out of style lately? I am. I swear, January in Manitoba rolls around and the whole of the province seems to turn into a vacuum, sucking the moisture out of my skin. How's that for a visual. 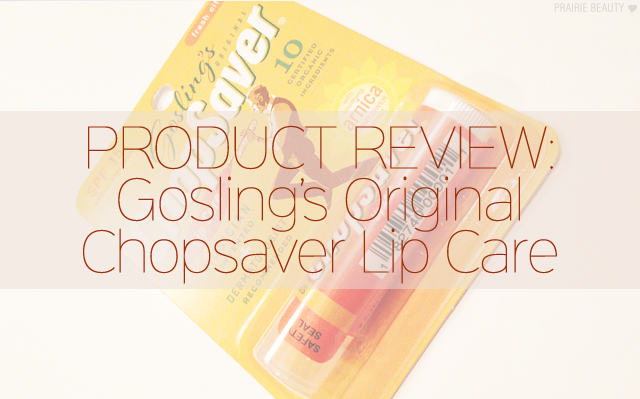 Anyway, considering the time of year, when I got the opportunity to try Gosling's Original ChopSaver Lip Care*, a natural lip balm that was invented by a trumpet player in his kitchen that has grown to be loved by musicians and non-musicians alike. Pretty cool story, right? Well, I liked it and was eager to try this product out! This product is really back to basics for me. It doesn't have any bells or whistles, and the branding is charmingly vintage in feel. There's something about the overall feel of this product that I really like, something that makes it feel like an old favorite even though I had never tried it before. It also has a light citrus scent that is very pleasant, and again somehow very classic to me. The texture of this is a very smooth and slightly waxy, clinging to the lips without feeling heavy. I feel like this is a really great texture for protecting the lips, which makes sense since this product was developed by a musician whose lips took a beating while playing. I don't necessarily think this is the product that you're going to want to reach for when you're looking for restore moisture, for me this is more about retaining it and protecting your lips. For me, every time I put this on, I can't help thinking that it would be great for skiing to protect your lips from the wind and cold. 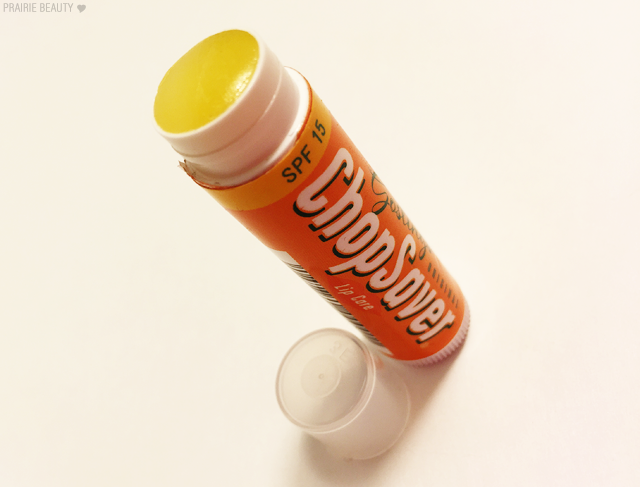 Also, the addition of the SPF would really be great for outdoor winter sports as well. Trust me, the number of times I've had a combination of wind and sunburn on my lips after a day of skiing... are too numerous to count! 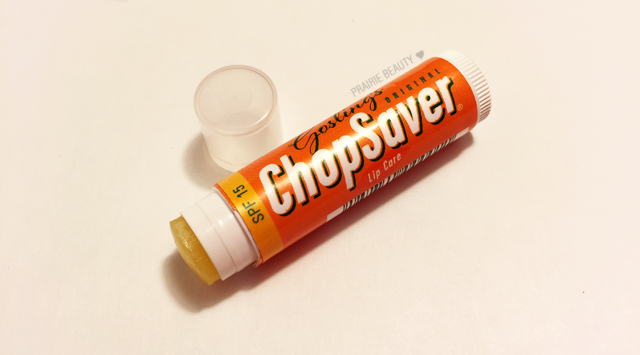 I think this is really one of those workhorse type of products that you can count on when you're going to need something to really protect your lips when you're going hard. I would recommend this to people who are doing winter sports, to musicians who play wind instruments and find their lips taking a beating from it, or just people who are looking for a really protective natural lip balm for day to day use. Chopsaver is available to be purchased from their website for US customers and on Amazon.ca for us Canadians!